Click on "New Document" in the navigation menu. 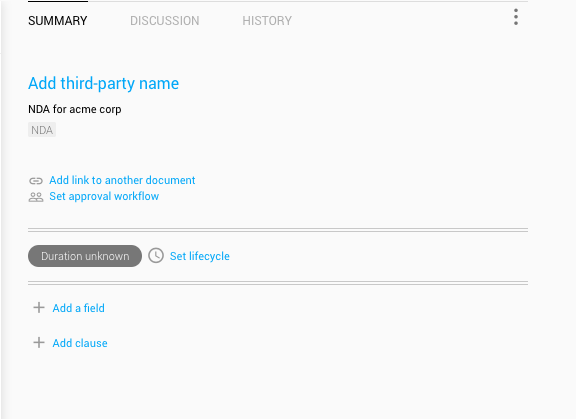 Draft your contract template directly on the Concord draft page by clicking on the "Edit" button, and begin drafting. You can, Import a Word file by clicking "Import document" button in the contract edit header. Drag and drop any Word or PDF from your computer on to Concord. Enter contract template title (required): choose a title that will designate this draft as a template. Description (optional): In the Summary tab to the right, you may choose to enter a description for your contract template. The description will be available to anyone with access to the template. Tags (optional): In the Summary tab to the right, create or add existing tags for easier organization of your templates or to give automatic access to users with access to that specific tag. 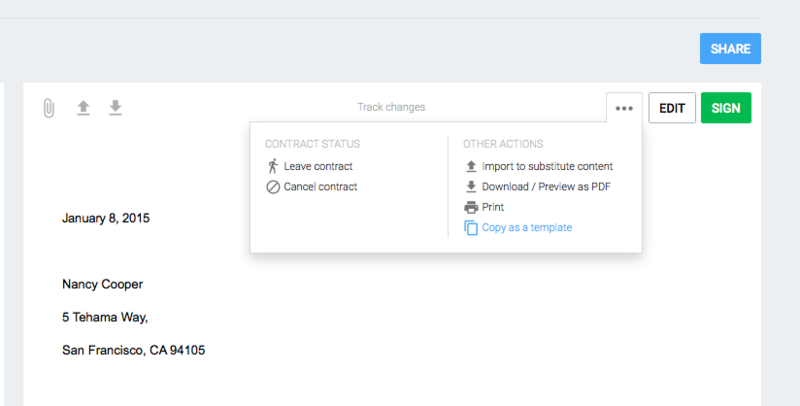 Go to the "In Progress" tab on the left of the page, then click on the title of the contract you want to copy as a template. Once in the contract page, go to the "..." (more options) button on the top right, then click on "Copy as a Template". The summary sheet is available across all stages. Therefore, you can define the summary sheet on a template, document in approval, negotiation, as well as on signed documents. To find more information about the Summary Sheet, use this link. You can find all your templates by clicking on the "Templates" tab on the left of the home page.